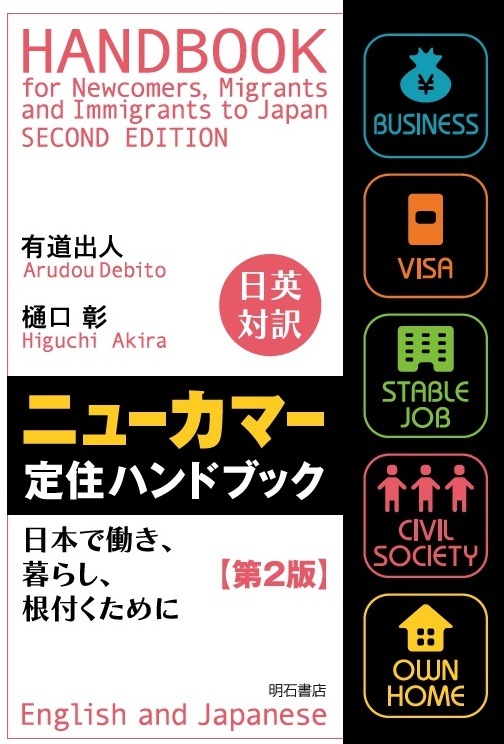 Posted on March 3, 2014 March 5, 2014 by Debito Arudou Ph.D.
Debito-san, Thanks for your work. This incident happened tonight and we’ve already put it up on Youtube. Please have a look. Because I’ve read your articles, I knew that I did not have to comply, and did not. Thank you and keep up the good work. What with the supposed ‘record number of NJ visitors’, the police dept. of tourist popular Tokyo must be feeling under siege from the phantom menace they’ve created from their own distorted stats. Maybe they fear they are losing control! Tokyo Olympics should be ‘great fun’. I was in Shibuya last night – at this exact spot, in front of the koban – around 7:30pm; passed through with no problems and unimpeded. Looks like this was around 9-9:30, judging by the quick shot of the clock on the plaza. I will probably pass by again tonight (it’s my transit route to and from work, actually), and will be on my guard just in case. > However, with the abolition of the Foreign Registry Law in 2012, it remains unclear under what law in specific the Japanese police are empowered to ask NJ without probable cause. I have had the same question since then, too. Whenever I am stopped, I ask them under which law they are stopping me. Usually they’ll say 職務質問, and the smarter ones may even say 警察官職務[執行]法. At which point I bring out my sumaho with the full text with specific parts highlighted and we read it together. This usually ends the questioning. Sometimes they will say something vague like 外人法 or 外人登録法 (both more specifically 外国人登録法). And again, I bring out my sumaho with the latest update showing that it was abolished in mid 2012. Again, this generally ends the questions. There may or may not be a replacement law, but in either case I put the burden of explaining which law on the police office and comply completely with it, but no further. Ahem, the answer has been right in front of us the whole time. “Foreigners must carry, but ONLY have to show to officers who are following the Police Duties Law.” Grok that VITAL qualifier. Are we done voluntarily giving up our rights, or is the Police Duties Law somehow too mysterious for us to read? The Police Duties Law states that police officers can’t stop individual without probable cause of an actual crime. If an officer stops you (an individual protected by the Police Duties Law), show the evidence to the Anzen Koan. And you CAN legally film police officers, they can’t touch you, your property, even your camera, without consent. If an officer touches you, your property, even your camera, without consent, show the evidence to the Anzen Koan. 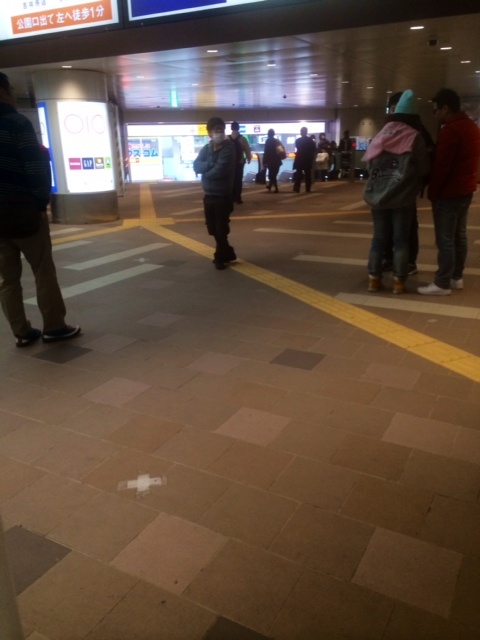 There is a spot in Nagoya station where police regularly stop foreigners it is a bit of a bottleneck near the only train that goes to immigration. usually it is a young policeman/woman with other police using foreigners as training. Then I heard from a friend who taught a policeman that this is the case. I myself avoid the certain area having been stopped twice already. My goodness. These young J-cops really need to be re-educated at police academy before they get back on duty again. They do not really understand proper interrogation procedure which is written in police manual. tourists don’t have New Resident Cards, and the police can’t stop them because there’s no other way to distinguish them from resident aliens. So, why not going for stop-and-frisk those who have foreign-looking faces? At Shibuya!? Horrifying. So I don’t think anything has changed much in that respect. 職務の執行 Police Duties Law states officers can stop you ONLY with reasonable grounds to suspect that a person committed a CRIME. ihou na shokumu shitsumon desu. this is an ILLEGAL “Police Duties” Questioning. Then BOOM, reality time, since they’ve admitted this is Shokumu Shitsumon, you state the magic Shokumu Shitsumon summary above. The magic sentence above is the best summary of the PROBABLE CAUSE limiter (thank you law makers) because it says the word CRIME. See, in the past we mistakenly focused on the weak “suspicious” word, well anyone who looks different is suspicious, that’s weak. Also, it is important to remember that they need to have seen this crime clue BEFORE they initiate the stop. Not after. BEFORE. So you must be prepared to remind them of this essential order, when they try to imply that your words now give them suspicion. the big finish of this magic sentence is that without FIRST having seen any CRIME clue the initial stop itself was an ILLEGAL act. But don’t let him off the hook, this public servant just committed an illegal act, he now hopes you (the victim) will slink away. You need to give a copy to the Anzen Koan (the only group officers fear, the only group which can punish officers) Anzen Koan. And note: Anzen Koan can only take action IF you have successfully recorded 3 things: his name, number, and… official STATION. “My name is here, my number is here, that’s all you need.” Nope, you NEED to record their I.D. which shows the official station. And yes, they need to pull out their I.D., yes you can record it, yes you can record their face, and no they can’t touch your cam. To summarize: get them to say Shokumu Shitsumon, say the magic summary sentence, film the whole thing plus I.D., show Anzen Koan. We were keeping ourselves in a mental cage for decades focusing on the “have to show” part, we didn’t notice the 職務の執行 limiter. So, as Bob Marley said, “Emancipate yourselves from mental slavery.” Now we know, 職務の執行 protects even foreigners, so walk free. Yes, we always had to carry our ARC cards before, and we always have to carry our Zairyu cards now, but… the SHOWING is limited. The SHOWING is limited to the rare rare (not gonna’ happen) case of a police officer FIRST seeing you commit some crime, get it? So reading in Scarecrow’s quote, I don’t see anything related to “probably cause”. You could conclude that item (3) depends on the 「その職務の執行にあたり」 and as such is governed by for example the 警察職務執行法 however then item (4) seems to say unequivocally that there is a requirement to carry and show the 旅券等(including zairyu card) when any of the agents defined in 2 (including police officers) demand that – and in this item there is no mention of 仕組むの執行. Not really disagreeing with what you posted overall, but there’s slightly more to the Police Duties Law Section 2 than what you mentioned. Regardless of having committed a crime or not, the police can stop you for questioning if there’s reason to suspect that you may attempt/are attempting to commit a crime. Maybe it’s just me, but that kind of feels like an important part. I can’t say how angry it makes me to see videos like this. I’ve run into this recently myself, and the situation was actually quite scary when the police not only demanded ID, but when I requested theirs, one patted their gun as proof that they were police. This really needs to be addressed in some manner. I honestly worry about my safety more in regards to dealing with the police (in regards to unjustified detention or violation of rights) than I do criminal activity in Japan. Huge thanks to people taking these videos and posting them. Debito, I know there are various laws and interpretations, but I really wonder if there can be some action or some sort of guidance for how to even handle situations like this AFTER such behavior by the police. Behavior I really feel is illegal, and downright harassment. Again, so glad things like this get out. Fake police officers. Japan has had those before. Does anyone remember that Japan Probe carried a story maybe 6(?) years ago about a ‘policeman’ in Tokyo who was uniformed, and stopping people on the subway and taking their personal information? When the season changed to autumn, but he was still wearing summer uniform, people got suspicious, and he was caught. — No, I don’t remember that case. Anyone want to dig that one up for us? 1. Write down the police officer’s badge number, worn on the LEFT chest. It will be in a format such as: AB345. If the officer is in plainclothes, ask for his police ID, in which case the number you want is a 6-digit number right under his photo. IF you use his BADGE number, you must also ask which police station he works at (e.g. Shibuya, Shinjuku, etc.) because the badge number worn is only used internally within that specific station, rather than all of Tokyo Metropolitan Police. HOWEVER, his police ID, which has the 6-digit number, is issued by Tokyo Metropolitan Police and can be used to identify him regardless of what station he works at. Again, get the badge number and station name for uniformed officers, and police ID with 6-digit number under photo for plainclothes officers. 2. Note the date, time, and location of the encounter. Be as accurate and precise as possible. If the encounter happened outside of Tokyo, for example Chiba Prefecture, you must send your complaint to the public safety commission in that prefecture. I stress that this is a FORMAL complaint and not just a complaint to the officer’s supervisor. Though the Public Safety Commission may not side with you, they definitely will question the police officers involved and will not just brush you off. You will get a response from them stating whether they have found inappropriate conduct by the police officers or not. I also want to stress that you have the right to video record the police because they are public officials doing a public act. If they won’t let you record, such as the police in the above video, that’s grounds itself for complaining to the Public Safety Commission. And if they try to hide their badge number, or prevent you from writing down their badge number or police ID number, that’s grounds for complaint as well. Remember, they are public officials who wear badges displayed to the public and who carry IDs with numbers for the purpose of identifying them. Any police officer who prevents you from recording him, hides his badge or ID number, or prevents you from writing those numbers down is hiding from the public as well as his own employer. Al, that makes sense, although I don’t believe you would have the right to publish it on Facebook or any other public medium without approval, is that correct? @Al, thank you for posting the procedure, beautiful. But remember, a Todai law grad who fights police illegal actions shared before that there is a relatively unknown catch (which I think is the reason Debito’s previous Koan report produced nothing) and the catch is YOU GOTTA’ GET THE LOCATION FROM THEIR TECHOU for the Koan to be able to dish out real punishment. Crazy right? I mean, you know the name, you know the number, you know where it happened, right? That should be enough. But we’re not dealing with a land of logic, so just go ahead and make the officer show his Techou and grab that supposedly-essential LOCATION as well (I suspect the crooked cops system here even goes as far as having police patrol OUTSIDE of their official Techou location, to prevent the “LOCATION-less” or “wrong LOCATION” Koan reports from going all the way to the penalty stage, see?) Record the Techou. The officers who are obeying the Police Duties questioning law which says that they can only stop individuals when they have reasonable grounds to suspect that a person committed a CRIME. Those are the only officers which you have to show to, officers obeying the laws. Not officers on illegal fishing expeditions. Are you finally realizing why freedom-loving, illegal-police-action refusing, people (both Japanese-citizens – ample video evidence on youtube, if you search for 違法職務質問 in quotes) and non-Japanese-citizens now as well (the evidence above provided directly to Debito by the intelligent righteous Mr. RS) these people are NOT arrested for refusing. They are not tazed. They are not beaten. This is great. This is so much better than L.A. So, nothing has changed from the ARC law to the Immigration Control Act new amendment, the protection was+is always right there. Police officers who have reasonable grounds to suspect that you committed a CRIME (meaning they saw you do something illegal) are the ONLY officers who can initiate a Legal Shokumu Shitsumon. That applies to everyone, both citizens and non-citizens alike. If an officer sees a clue you did something illegal, he can stop you and begin Legal Shokumu Shitsumon. And if he begins Legal Shokumu Shitsumon, THEN IN THAT CASE, AND ONLY IN THAT CASE, HE IS ONE OF THE OFFICERS MENTIONED ABOVE, AN OFFICER ACTING WITHIN THE LAW, YOU HAD BETTER SHOW YOUR CARD IF HE SAW A CLUE OF A CRIME, because showing is required in this rare rare case of LEGAL Shokumu Shitsumon, according to both the old ARC law and the newly Amended Immigration Control Act. Conversely, if he begins ILLEGAL Shokumu Shitsumon, then in that case he is NOT one of officers mentioned above, he is an officer acting outside of the law, you don’t have to show him I.D., he is on an illegal fishing adventure and as soon as you make it clear that YOU KNOW that random Shokumu Shitsumon is Illegal Shokumu Shitsumon, they “let you go”, but again, don’t just “let them go”, because they just violated your rights as an indivdual. In individual protected by the Police Duties law, and the Police Duties law is even there protecting you in both the old ARC law and the newly Amended Immigration Control Act. Because even if he saw a clue, even if he then initiated Legal Shokumu Shitsumon, he STILL can’t prevent you from leaving unless he arrests you, but he CAN’T arrest you so easily. A) he gets a warrant from a judge based on the initial clue he saw, good luck with that project, meanwhile you are free to go. The proof is in the video above. If those Law-breaking camera-touching lying-officers were able to arrest foreigners for refusing, RS would be in jail. RS is walking free, because he knows the law. The fact that he walked home freely, and sent this evidence to the number one information sharer about human rights in japan, is a wonderful thing. Now every single human in Japan who reads this has seen for themselves that this crazy poster using an anonymous handle has been telling you the truth: showing is voluntary (unless you were seen with a clue of a crime) carrying is mandatory, showing is voluntary. But why simply play the “it’s voluntary” card and slink away? Film the illegally-acting officer’s techou, and get him penalized by the Anzen Koan. And back to Mumei, I give much respect to you brother for helping me see that first you gotta’ get the officer to admit that this stop is Shokumu Shitsumon, right at that start (by asking with a positive demeanor as if you’re a cooperator) and when he says yes, start filming with a positive demeanor, ask again, Shokumu Shitsumon desu ka? You: OK, this video is going to the Anzen Koan. Am I free to go now? I am free to go now. Goodbye. Hello Anzen Koan! Why not? That’s what the “public” in public official means. They are public officials, subject to public scrutiny, in a public medium. Al, thank you so much for that information. I deeply appreciate it and will file my own complaint. Anonymous&everyone, thanks for the clarifications. I was misreading Article 23.4 but realize now that that is about the police officer having to show his ID and now the NJ in question. The only article relevant is 23.3 which does explicitly say その職務の執行に当たり. How, or rather does, the 職務質問 law apply to being foreign while cycling? Both times it has happened to me I got some nonsense reason for being approached, (we’re out warning people to be safe because it’s snowing/ hey, is there a lock on the back of your bike?) followed by them eventually telling me to wait while they checked the registration. My understanding is that it’s theoretically ok to leave even if they tell you not to if they haven’t arrested you. Should this be accurate? I asked both times if it was ok to leave and was told no but that was as far as they went. Even if that’s the case, would it be reasonable to assume that they’d then make up a reason to suspect/arrest me? I guess I should film it next time? What if the police don’t even GIVE their ID or information other than their name. I assume that techou could refer to a koban or area? What if I downright have the video of the police actions? Thank you for posting the video and thanks for all of the great comments. I hoped it would spark interest in the subject and awareness of the lack of clarity in the law. 1 – We didn’t greet them until after they approached us. In fact, I’d already walked past the police and was approached from behind. 2 – After we left the crossing (where the vid stops) the two younger policemen approached us again, and we continued the discussion. I asked them what their suspicion of us was and offered to cooperate in their investigation. I even went as far to respectfully ask if there was someone fitting my description who they were after because the dragnet they had set up at Shibuya Crossing could’ve been for a reason other than racial profiling and I didn’t want to screw up an actual criminal investigation. But they admitted that they had no suspicions. I strongly believe that their investigation was simply to stop and question non-Japanese people. In the end I did not identify because I was confident that by law I’m entitled to my privacy unless I’m under suspicion. 3 – Sadly, after speaking with these guys, I was left with the impression that they’re unsure of what their goal was and whether or not what they were doing was morally or legally right. So, this begs the obvious question, if taken to its logical conclusion. If you consider that there is no crime and your are sure you have not committed any crime (unless of course you have), is it reasonable to simply ignore them and walk away. Since as noted above, if you are 100% sure you have committed no crime, why bother stopping, since they have no “legal” right to stop you? — Because legality isn’t an issue with no evidence. In a “he-said, she-said” situation, the cops almost always win, especially in Japan (they’ll simply say that you were “acting suspiciously” by not stopping, once again justifying their action to stop you). That’s why you have to film or audio record it. 1. Whether you’re 100% sure that you committed no crime is irrelevant. The decision to stop you is their decision, not yours. Otherwise nobody would stop for the police, criminals and non-criminals alike. Whether they had a legal reason to stop you is something to discuss AFTERWARDS, in your complaint. You can, however, refuse to answer any questions and refuse to let them search you without a warrant. Refuse anything that requires your permission. And tell them that you want to leave and that they are holding you against your will. 2. By not stopping, you forfeit your chance to file a proper complaint. Nobody will know that the police tried to stop you for no reason. The low-ranking police officers who tried to stop you will simply think that they might need to get more physical with the next foreigner in order to stop him. The high-ranking officers won’t even know about it. Your fight is with the high-ranking officers and officials that allow this crap to take place, not with the low-ranking morons. So stop, get their information, and file your complaint. Thanks, you confirmed my suspicions. I just thought it is worth spelling out…. Thanks to Debito and everyone for all the informative comments and discussion. However, I tried reading through all the comments, and in the end I’m left a little bit confused. I was stopped by the police in Roppongi this December or January, as they were walking down the main street and checking everyone who looked non-Japanese. Many years ago I had a piece of paper with the law that said that they could not ask for my ID without probably cause, which I got from this very site (or via Debito in some way or another). But I lost my walled a couple years ago and didn’t replace that paper. Wouldn’t you know it, the whole time I carried that paper, I was never stopped, and then this one time I really wanted that paper, of course I didn’t have it. Instead, I argued with the cops and gave them the most hard time I could muster, but in the end, I knew I was going to show my gaikokujin card because without the letter of the law on hand for reference, I didn’t feel confident enough drawing a harder line. So, anyway, what I realized is that I should keep a copy of the relevant law as some kind of document in electronic form on my phone. I always have my phone, and if I lose it, I can just restore the document from backup. Maybe keep it on Google Drive or something like that. But after reading the comments here, I’m a little lost as to what exactly would be the correct text to keep on hand to show the police when the time comes. Can someone with more knowledge than me perhaps break it down to exactly what text I should carry with me in light of all that is discussed here? Or maybe have a public document that anyone can access from their smartphone? Perhaps Debito.org already has a web page, but it would be good to have something without the whole website template, for quicker access and broader compatibility, so we can easily whip it out and show the cops. — The old version of the laws paper is linked from here. I am planning on updating it ASAP with the new laws. The “probable cause” section is still the same, as is the requirement of the cop showing ID on request. Details of the new laws are all here within this blog entry, just not collated yet. You can collate it for yourself now if you want to be forearmed for the next time. A basic question. Why try to make trouble for the police? As the whole world over, the best advice is surely to be polite and cooperative. It doesn’t cost anything and certainly gets you on your way again more quickly. Embassy websites are clear with advice if arrested, but I doubt they would recommend antaganising police officers on the street. Because the police are breaking the law by stopping you without any grounds for suspicion. And because they’re breaking the law by not letting you refuse a wallet search. Do you want the police to break the law? Don’t you think the police should be held to a higher standard? You lose all credibility when you start blaming the victim. Aside from that, we should stand up to unlawful stop and search by the police because it’s UNLAWFUL according to Japanese law! The fact that some cops don’t know this should be a national embarrassment. 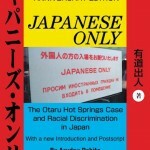 The fact (as stated on Debito.org before) that the majority of Japanese, when surveyed, replied that they didn’t think NJ in Japan should have the same human rights as Japanese, should be a national embarrassment. The fact (as covered on Debito.org before) that Chief Prosecutors instruct police recruits that ‘foreigners have no rights’, should be a national embarrassment. If I stand up for my legal rights when stopped, and you do the same, it will lead to an increased awareness that this is a problem, and the J-police will be forced to (illegally) give us trouble (which will eventually become an international embarrassment with all the NJ stories of mistreatment by J-police), or the J-police will realize that stopping NJ (who know their rights!) is more trouble than it’s worth, could lead to a complaint, and therefore could lead to a temporary loss of salary, transfer, or being fired. Which approach do you think is best? I don’t think that NJ should ‘go along to get along’ with illegal police activities, it’ll only normalize the discrimination, and encourage them to do worse. Do you know anything about the history of Treblinka? The Nazis were relatively benign acting toward their victims all the way to the gas chambers, the easier to get them there in mass without hassle. Yes Nazi comparisons are generally bad form, but your comment is so incredibly short-sighted and/or naive I had to drag that one out. If any government official is abusing their power with a citizen they should be held to account and not cooperated with, then cooperating with them aiding and abetting oppression. This right of the inhabitants of any democracy to be free from arbitrary harassment is a keystone of said democracies. Not that Japan’s a democracy, but since they claim to be and have most of the laws and practices in place to make the claim (with notable, and to me, democracy-disqualifying exceptions) holding the police, for one, to account, is win for democracy. I am of course assuming that you value democracy over a police state. If the latter, point taken. Not trying to be an apologist here, just keeping it real. Today I witnessed 2 Japanese policeman scoping out an area in Shibuya. One of them was scoping hard. They came to a crossing, then the agressive one tapped his partner and was like “mitsuketa” they had found a target. It was a J dude, sitting down, doing nothing. An interogation went on for about 30 minutes, bag invasion etc. Pretty aggressive stuff, and when I left it was getting more intense. Point is, this is the second time I have seen this; J cops profiling J dudes. 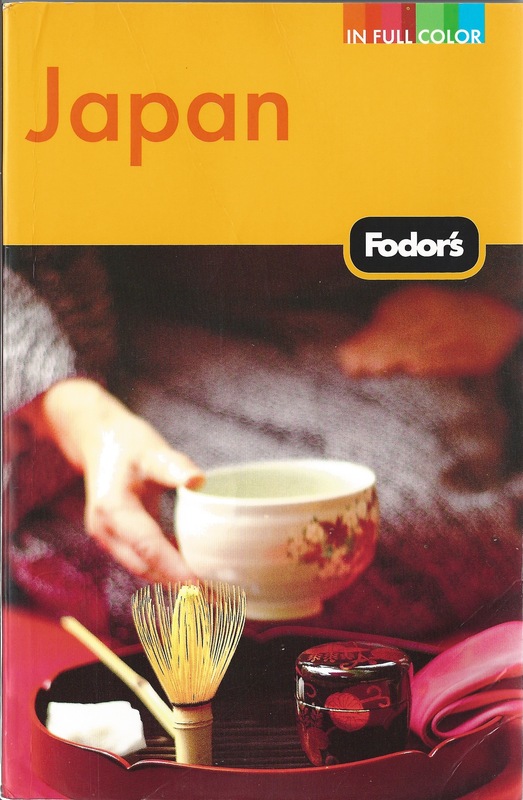 Its not only gaijin. Japanese police do illegal Shokumu Shitsumon to foreign-looking-people and to people in general. So pointing out, “But I saw a non-foreign-looking person being stopped” disproves nothing, see? Thanks Mr. Debito for your work and this site. Really interesting stuff, to say the least. Regarding the second video, I would be very curious to know the circumstances that led up to what is captured. While it must be infuriating to be viewed with suspicion just for being NJ but it doesn’t help the gentleman’s cause by antagonizing cops. From what I can see the cops are trying to do their best to be polite, trying to reason with him, ‘just doing their job’ as one suggested a few times, asking for permission in their very Japanese way. The guy carries on like some drunk chimpira wanting a fight. Not 100% sure but it looks like the NJ taking the video is Caucasian? 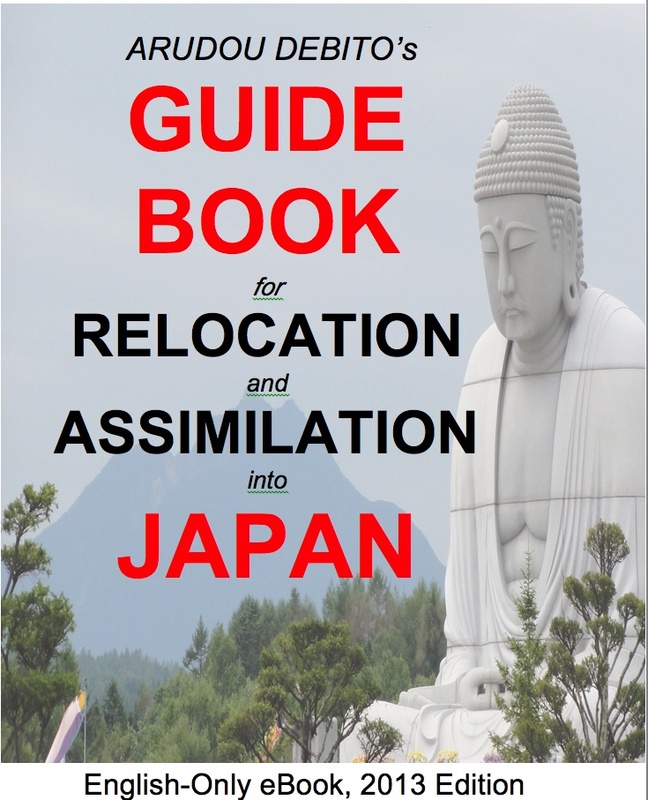 Japanese are often deferential to Westerners (white folks to be exact) as they know that roughing up one of them may lead to a diplomatic row. If the guy shooting the video was from Cameroon I suspect it would have ended very differently (or maybe we would have never seen a video at all). Definitely ‘racial privilege’ is a factor here. If you were a black man in the US and you spoke to cops like that you will likely end up dead. he did not let me record by video or photograph his police badge or ID number. So I had to make a voice recording. In the recording I read his name in his badge, number and the police station he belongs to and his voice agreeing what I read. so I was unable to take the picture of his badge. If any of you Readers of this blog have some feedback it would be appreciate it!